West Ham will be returning to the Hong Kong Football Club this May for the 2018 Soccer Sevens. The Hammers, who have been taking part in the event, now in it's 19th year, for a number of years will be accompanied this year by fellow Premier League clubs Newcastle United and, for the first time, Brighton & Hove Albion. Meanwhile reigning champions Leicester City and last year's beaten finalists, Aston Villa, are also set to feature. See The Seagulls fly! Brighton & Hove Albion are honoured to make their debut alongside Newcastle United & West Ham United who return again to the HKFC Citi Soccer Sevens in May! The Soccer Sevens is one the world’s most popular seven-a-side football tournaments, where fans can see the stars of tomorrow and some of the legends of the game in one exciting event. The 2017 tournament featured teams from nine countries including newcomers from France, Germany and Italy. This year there will be representation from England, Europe and Asia once again. 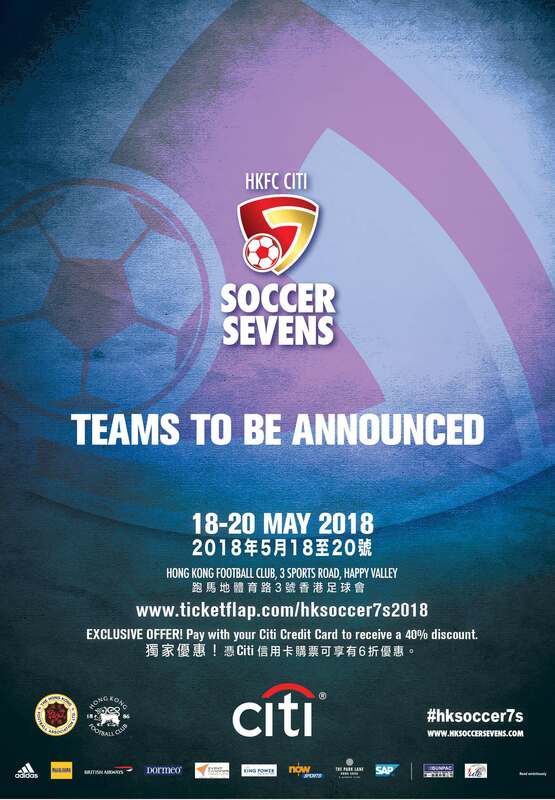 This years sevens takes place at the Hong Kong Football Club in Happy Valley between 18-20 May, with West Ham once again preparing to send a team from the Academy to represent the club. Tickets for the event are now available from ticketflap.com, prices at 160HKD for Saturday or Sunday of 300HKD for a weekend pass.